Email is far from dead. In fact, it’s alive and well with around 269 billion emails being sent and received daily in 2017 , and that’s expected to rise to more than 333 billion by 2022. So, instead of declaring email an outdated technique, take the time to update your lists and strategies. You can start by focusing on these 7 areas starting today. Think about the emails you receive. Do you think you’ll be more likely to purchase a product or service that you’ve shown interest in, such as by visiting a website; or, are you more likely to buy from a random business you’ve never heard of? Even though you want to reach as many people as possible, emailing people who aren’t interested in your business is a waste of time. In fact, it’s probably annoying them. Instead, grow and maintain a targeted email list of interested buyers by creating a landing page where in exchange for an email address visitors will receive an incentive such as a discount, eBook, or PDF guide. At the same time, you also want to clean out your lists. This list hygiene involves removing contacts with high bounce rates and those who haven’t opened your emails in over six months. In order to block unsolicited messages from getting through, email clients use blocking programs (also known as spam filters). Instead of the message going to an inbox, it goes to a spam folder, where it’s likely to be deleted. Also, to make it easier to be whitelisted, follow email best practices. This means having low customer complaint rates, adhering to the Can Spam Act, having a low percentage of invalid addresses, and authenticating your email. Let’s say you own a Labrador retriever and have purchased food, treats, toys, and flea and tick treatment from a pet store. However, you constantly receive emails highlighting products for cats or smaller dogs. This isn’t just annoying, it also shows that the pet store has little interest in getting to know you and your wants or needs. After all, why you would purchase cat food when you own dog? It’s probably because the store didn’t segment its email lists. With email segmentation , you send tailored content that fits your customers’ needs based on anything from previous purchases, demographics, location, or experience with your brand. When done right, instead of receiving coupons for cat food, you’ll receive coupons for dog food. Want to better communicate with your subscribers and share your message? If so, then you’ll want to design eye-catching email templates that fit your goals, convey your message, and are mobile-friendly. After all, a template showcasing your products is going to look different from an email instructing your subscribers on how to use your product. There was a time when you had to manually send one email at a time. It was time-consuming and tedious. Thankfully, automation has allowed marketers  to send one message to thousands of subscribers with one just one click. Even better, you can schedule emails in advance and send out immediate emails based on triggers. For instance, once someone signs up for your newsletter, he or she will automatically receive a welcome email and instructions on what steps to take next. A/B testing, also known as split testing , lets you know how effective your marketing efforts are by comparing email components such as the headline, call to action, images, and body copy. For example, if you wanted to promote an upcoming sale, you could compare the open rates of subject lines using both “Announcing” and “Alert.” If “Alert” had more opens, then you’d want to use that for the campaign. This isn’t an overnight process; it may take a couple of days or couple of weeks. However, it’s worth the time if you want to improve your bottom line since you’ll have accurate information to guide your next campaign. What are you waiting for? 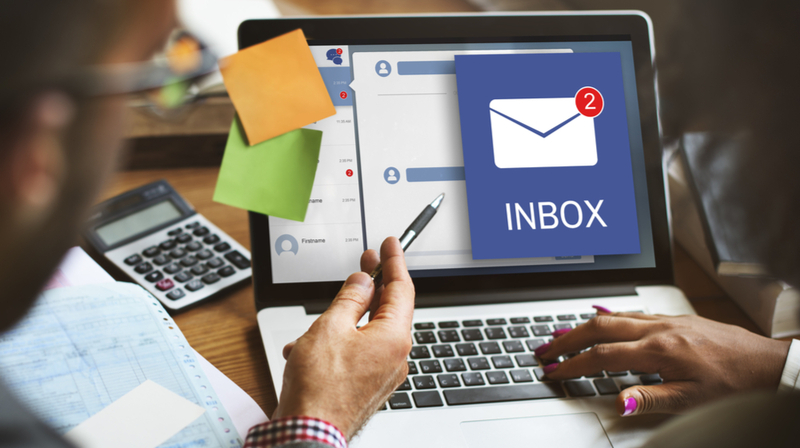 It’s time to tune up your email list today by growing and maintaining your lists, creating eye-catching subject lines, getting whitelisted, segmenting your audience, using design templates, using automation, and running split tests.